Message: Great Site! Brought back a lot of memories of my time in 1 SAI (1987) and 61 Mech (1988). Message: Great site, good that someone has made the effort to remember all of us who made the trip! Message: Nice site. Also 1 SAI in 87 and 4 SAI in 88. Message: I was in the last NSM intake at 1SAI '93 and made the Defence Force a career for 13 years. In June 2004 I resigned as a Corporal and am currently living in the UK. I'm really struggling to find my feet in civvy street and I was really glad when I came across this site. If there are any ex SA Forces guys here I'd like to hear from you. Cheers!! Message: Excellent site! 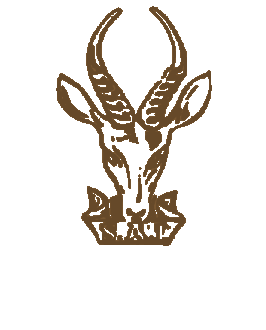 As a Canadian ex-armoured crewman, and military history student, I have always been interested in the activities of the SADF. Outstanding information here. Happy Easter to all and hopes that our efforts will bring a more peaceful society on both sides of the ocean. Message: Stunning site! Glad to see the history is still being kept alive. Gnr Grant Howard, 47 Battery, 4 Artillery Regt, Potch, last NSM intake Jan 1993. Message: Brilliant site - well done. Also keeping it alive - SA Irish Pipes and Drums are at the Edinburgh Tattoo this year. Message: An excellent web site. Any old soldiers staying in Boksburg and surrounding areas. I AM A MOTH member looking for third generation soldiers to join our Sphinx Shellhole. Any one that is interested can contact me. Old Soldiers never die, we will remember them. Message: Nice one dude, from 78360385 BG/BT, Cpl JE Louw, 3 SAI/First City Reg. Keep the memory alive! Join John Dovey's "ArmyTalk" mailing list: email me! Message: Simon Hare's contribution really took me back ! I was in Bethlehem etc. exactly 10 years before him (1973 to 1974). I also have some photos somewhere, will check! Thanks! Message: Excellent site, and with so much promise for the future. I hope to see much more material here and I hope that so many of those lost ex SADF members will come forward and make themselves known. Thanks for the memories. Message: Well done Jim! Looks good. Message: Hey I have been waiting for this site for a while, excellent work!! Keep it up! !